Any Queen fans around here? That’s what I thought. 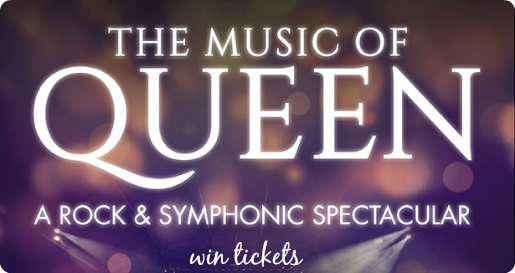 There is a symphonic production coming to the Sony Centre on Wednesday November 25th spotlighting the music of Queen, and I have a pair of tickets to give to one of you. I have always been a fan of blending different mediums together to make them more accessible to various tastes. This is another example of doing just that. You can also get a bonus entry by following me on Instagram and hearting the photo about this giveaway once it’s posted. One winner will win two tickets to the Toronto performance at Sony Centre on November 25th, and will be contacted via email by Monday November 23rd at 5pm.